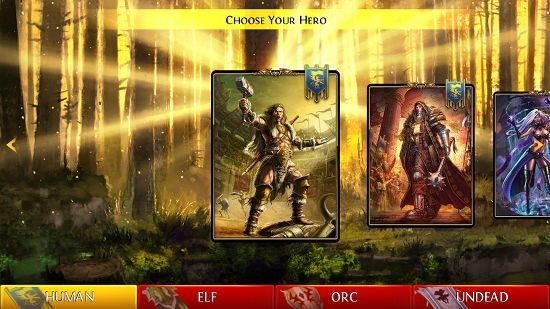 Order & Chaos Duels is a free combat card game for Windows 8 and 8.1 from Gameloft. The game has incredible graphics and in it, you can choose your own legendary hero and choose to battle it against the computer. The game gives a new twist to card battle games, and the controls of the game are based on mouse clicks only. Although there is a slight learning curve to the game, once you come to terms with the game’s rules, you will start loving it. Order& Chaos Duels is available for free from the App Store. When you run the game, you will be presented with the below screen where you will be asked to enter your name. Just enter your name and click on the LOGIN button. Once you do so, you will be taken to a screen where you will be able to choose your main hero card. You can choose from Elf, Human, Orc or Undead categories from the bottom of the screen. 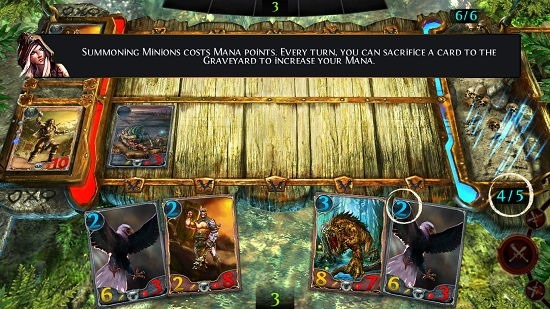 Once you click on a card, you will be able to choose it. 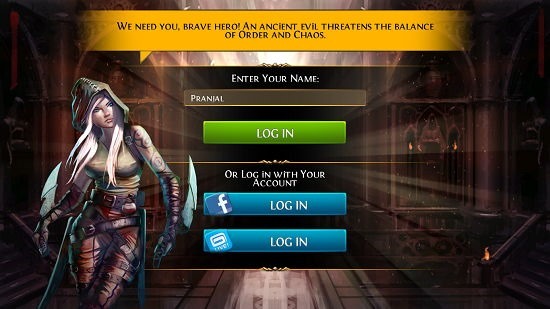 Now you will be brought to a screen where you will come to know about the storyline behind the game. According to the game, you are trapped in a dungeon and are competing with guards there to get out of there. Once you have come to terms with the storyline of the game, you will be brought to the gameplay screen itself. The first level is a guided tutorial after which you are on your own. The cards which you can select, will have a green border around them. To attack, place your card on the board and click on the red cross swords button at the bottom right. 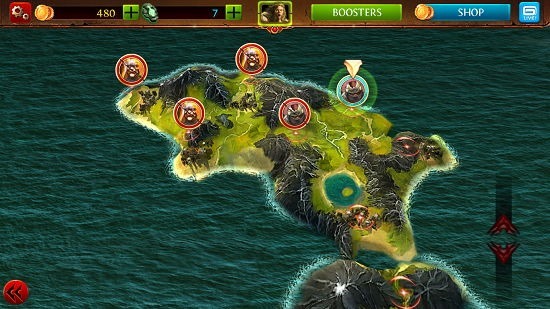 The gameplay looks somewhat like the below screenshot. Upon completion of a level, you will be shown your stats. Now you can click on the done button and you will be taken to the level map where you can find more battles. You can see your game coins etc. in the top bar. 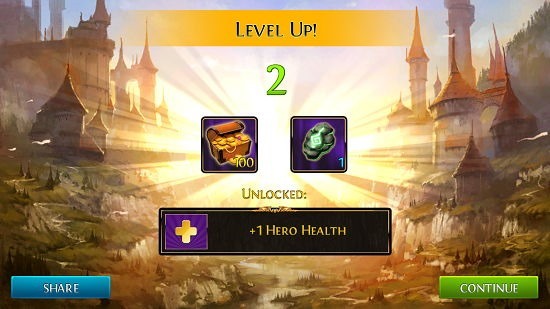 Throughout the game, you will keep leveling up at certain points in time. You will be shown a confirmation message regarding the same in a way as shown in the screenshot below. 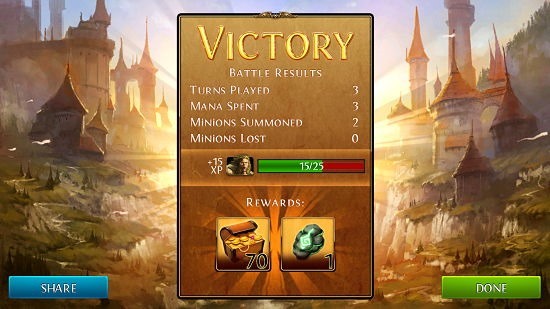 This sums up the main features of Order & Chaos Duels for Windows 8 and 8.1. 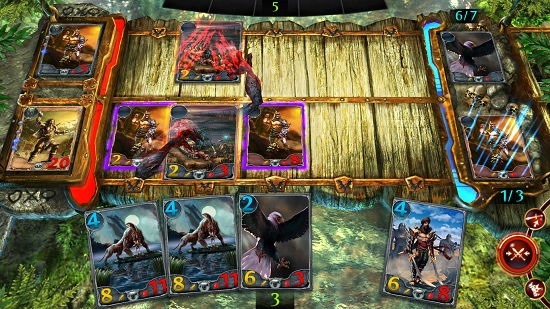 Order & Chaos Duels is a nicely designed game app for Windows 8 and 8.1 which makes for a great card combat game. Coming from the house of Gameloft, you can be assured of its superior graphics and gameplay performance! Get Order & Chaos Duels.